The ICC is pleased to announce a special presentation to be held on Thursday, April 6th, at 6:30 p.m. Professor Karl Schoonover (Associate Professor of Film and Television Studies, University of Warwick, UK) will present “By Italians, for Italians”: Italo-American Movie Theatres. Schoonover will share his research exploring the life of Italian cinema outside of Italy. Many Italian films came to the US during the 1940s and 1950s. Life magazine called it the 'Italian invasion' in a 1952 cover story. Conventional histories of the period tell us that these films were popular mainly in the US on the growing arthouse cinema circuit. 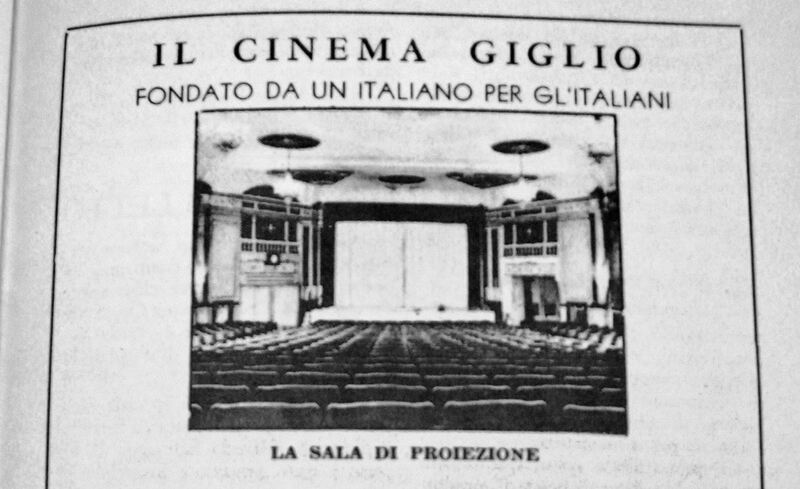 Yet Italian films were also shown in special cinemas that were found in Italian neighborhoods and catered to Italian speakers. Schoonover will share a selection of archival findings from these theatres. Most of these documents come from theatres in and around New York City run by pioneering entrepreneurs from the community. There were similar theatres in Chicago, New Orleans, Providence, and Philadelphia. The documents he’ll share reveal a mixing of languages and ways of addressing audiences that reflected the Italian presence in America. They also raise questions about the role of cultural identity in American cinema. At a moment of upheaval and uncertainty for Italian-American communities, which were dealing with the impact of the second red scare while still reeling from wartime shame and the threat of internment as 'enemy aliens', these theatres attempted to foster a transregional Italian-ness. They were key to the Italian immigrant sense of cultural heritage, to language preservation, and to education. They responded in both direct and subtle ways to the pressures faced by working-class Italians in this period, helping them to negotiate their newfound lives and its challenges. Karl Schoonover will also present a workshop, "The Cinematic Life of Petroleum" and a lecture, "Neorealism's Casualisation of Labour", at the University of Minnesota with the co-sponsorship of the Italian Cultural Center. Click here for more details. Register here, and contact Tiziana at events@theitalianculturalcenter.org with questions.